I have been wearing glasses since the 3rd grade; almost 30 years. I am pretty much blind without them so I like them to be super clean with no streaks so that I can see well. These wipes are the best and since discovering them the only ones I use. I used to buy them on but now I am so excited to see they sell them on Overstock and at AMAZING price. Buying 30 at this place makes them to be about $ a box. The best price I could get an was $ for three boxes, which comes to $ per box. So if I were to get this quantity of 30 boxes on, I would spend $.… Over three times the cost of them On Overstock! I am super happy and highly recommend them! 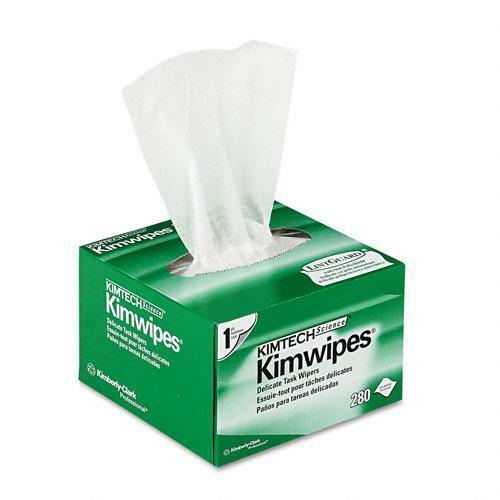 KIMTECH Science Wipes, Cloth, One Ply, 4-1/2-inch x 8-1/2-inch, 280 Wipes per Box. Towels provide nonabrasive, low-linting and low-extractable wipers for delicate task wiping. Wipes perfect for light cleaning tasks in the laboratory. Antistatic dispensing reduces lint and electrostatic discharge.